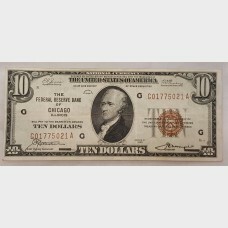 Beautiful $10 small note from the Federal Reserve Bank of Chicago, IL. 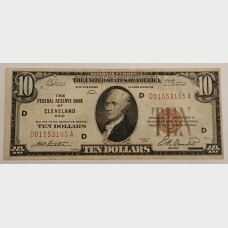 This bill is from the series ..
Beautiful $10 Federal Reserve Note from the Federal Reserve Bank of Cleveland, OH. 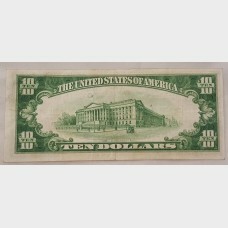 This bill is from..
$5 bill Federal Reserve Note, Dallas, TX. 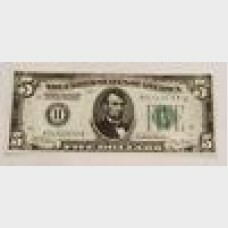 Comes in plastic currency holder. Series 1928&n..
$5 bill Federal Reserve Note, Kansas City, MO. Comes in plastic currency holder. Series 1..
Beautiful $5 small note from the Federal Reserve Bank of Boston, Massachusetts. 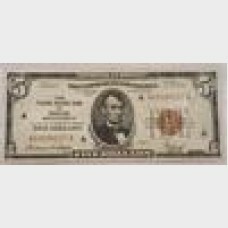 This bill is from th..